Dreamed about going to Notre Dame University, but was told she couldn’t because it was an all boys school—she later became part of the first group of women to attend and graduate. Later she received her Juris Doctorate degree from the University of Texas School of Law in Austin, Texas. Right out of law school she became an assistant district attorney for Harris County, Texas and assisted in developing the office’s Child Abuse Division. She was confirmed as a full-time municipal judge in 1987, then served as administrative judge and, later, was appointed associate presiding judge. 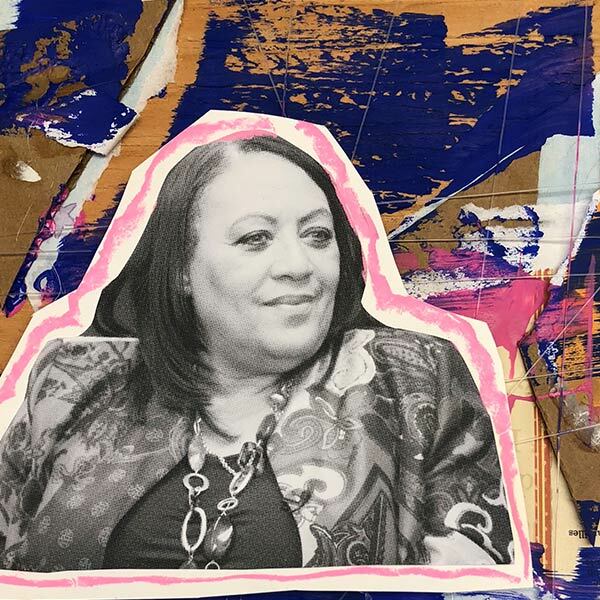 Has served the City of Houston for 30 years—one of her major accomplishments is Houston’s Teen Court Program, which she re-organized and built into one of the premier programs in the community. In 2016, she was appointed Director and Presiding Judge for the Municipal Courts Department ensuring justice is administered fairly to all. Was awarded “Outstanding Judge” by the Texas Municipal Courts Association in 2017, which is an award given to a municipal judge who demonstrates excellence in the fair administration of justice. I am the Director and Presiding Judge of Houston, TX ensuring justice is administered fairly to all. I oversee all departments of the courthouse. I ensure the Judges are on the benches and the clerks are where they need to be. I make sure our budget runs smoothly. I help conduct student tours and I oversee our Teen Court. My typical day has many twists and turns which can be challenging. Since I oversee a wide range of law issues, I have to have a decent grasp of a lot of different topics. Developing a broad knowledge base is key. Treat everyone equally no matter who they are or what they do. Gain an in-depth and wide range of knowledge on the law. You should be able to speak on a variety of law topics. "You can't go to Notre Dame because it's an all-boys school." When they eventually started admitting women, I ran into additional discouragement from people saying it was going to be too competitive. Follow your own mind. Set your goals and don't let anyone talk you out of achieving them. I did just that and graduated among the group of the first women to attend Notre Dame University. Law school was a totally different school experience for me. Typically in my classes there was one test given and you passed or failed. I had to figure out a whole new way of studying and learning. Eric AssoulineManaging Partner and Head of Litigation DepartmentAssouline & Berlowe, P.A.